It is estimated that there are still 20 to 25% of the campaign (or 4000 T) in the hands of collectors and exporters. The purchase price of this stock was around 13 000 USD / T. This also slows down because of course none of these operators do not want their stock to drop below USD 12/12.5 / kg despite the importance of remaining stocks. The coming season is good as advertised, except for non-stop rain that could prevent the budding of trees. 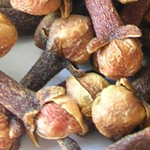 So if buyers Indonesians manage to cover the campaign Indo present, it is reasonable to assume that the price of Clove may decrease during the campaign has come to Madagascar remaining at around 7 – 8 000 USD / T.